At the start of February 2019, Alzheimer’s Society will be launching a guidance toolkit for the sport and leisure sector to enable people, programmes and organisations to support more people with dementia in being active. Over the next few months we will be working directly with people with dementia to understand some of their challenges and attitudes towards physical activity in leisure centres, gyms and sports clubs. The guide will highlight ways leisure centres and gyms can be more dementia friendly and offer practical solutions to enable more people with dementia to access and enjoy these facilities. We will capture case studies, insight, produce video content and we’ll be doing this working with some leisure providers to help shape this guidance toolkit that can be taken up nationally. Steven has over 10 years’ experience of working within the sector on a range of inclusive and accessible sports projects. Specialising in disability and inclusive sport, adapting activities to meet the needs of differing audiences has been a big part of his work. The ultimate aim is being able to use sport and physical activity as a way to have a positive impact on people’s lives. Now working at Alzheimer’s Society, leading on a dementia friendly sport and physical activity project, supporting organisations to become more dementia friendly in a range of ways. 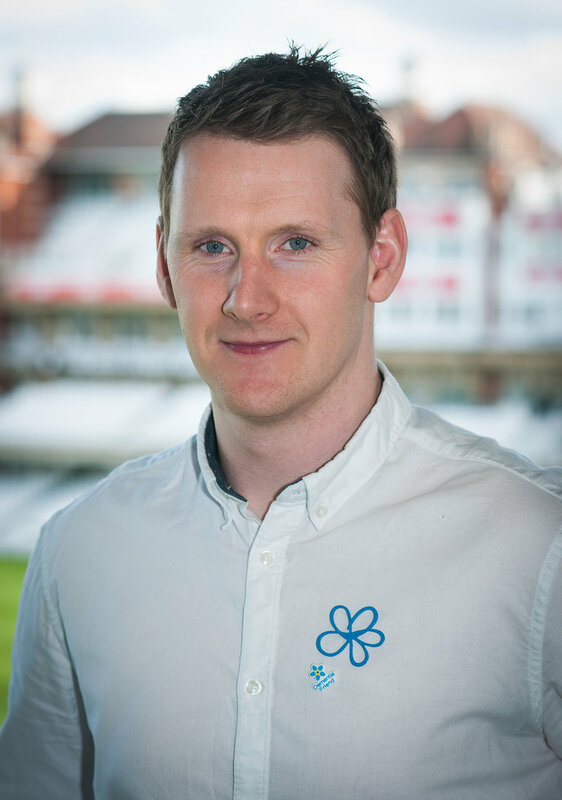 Steven is working with the Prime Ministers Champion Group to advise leading physical activity providers on the support they can offer to enable more people affected by dementia to enjoy more active lives in their community. Robin and Helen will provide an insight into the purpose of drowning detection technology, its place within the industry, looking at current accident statistics from the Right Directions STITCH Accident Analysis platform to view the current industry trends and what more could be done. The session will provide a review of how we can support the evolution of Lifeguarding through blended lifeguarding. Robin McGloughlin, PoolviewRobin McGloughlin is the Director and Co-Founder of the UK's leading drowning prevention company Poolview Limited. Robin has the authority and passion to inform and raise awareness of Drowning Prevention Technology with over 30 years’ experience within the UK leisure sector. He regularly speaks at industry and company events, engaging and provoking audiences to support his personal and company mission of ‘making a difference, save a life’ and using technologies to support lifeguards and improve swimmer safety with his concept of “Blended Lifeguarding". Helen has over sixteen years accredited experience in leisure industry, working with individuals and organisations to develop and implement Lifeguarding standards, qualifications and best practice behaviours. Helen has recently joined Right Directions as Head of Training, with a keen desire to develop industry standards, expectations and promote the resources available to safely operate swimming pools. Paul and Andrew will look at and discuss the changing scope of our industry and what we can do to engage further with an increasingly inactive and uninspired nation. An opportunity to look at some of the changes we can make to our facilities moving away from traditional leisure. Alliance Leisure and Inverclyde Leisure will lead the session looking at the changes Inverclyde Leisure have made to their facilities and the impact it has had on the wider community through engagement and increased awareness. Since graduating in Sports Science, Paul has spent the last thirty years working in the leisure industry across public and private sectors. Prior to joining Alliance, Paul was employed by Parkwood Leisure as Managing Director and was a principal consultant with Capita before joining Quality Leisure Management in 2004 as a Director. He joined Alliance Leisure Services in 2008 where he is Managing Director. Paul was heavily involved in the formation of CIMSPA and since stepping away from the Board has remained a member of the Audit and Probity Committee. Paul is married, has 3 children, is a keen walker and claims to play pool (badly)! Andrew has spent 17 years working in leisure industry across public and private sectors in a variety of different management roles. Prior to joining Inverclyde Leisure 6 years ago Andrew worked for North Lanarkshire Leisure, David Lloyd Leisure and Glasgow Life. This has ensured a broad scope of knowledge & experience across the Scottish leisure industry. Andrew is currently studying a Master’s degree in Business Management. Andrew is married with 2 young children and enjoys playing golf and watching football in his (limited) spare time. Keynote - Why are some leisure centres operating three times more efficiently than others? Looking at both the structural advantages and the operational efficiencies of the current benchmarking performance to look at the impact on cost recovery and performance. This NBS Keynote will look at the latest national benchmarking results from 2018 discussing what are the key ingredients for high efficiency. Simon is a Chartered Institute of Management Accountants (CIMA) qualified accountant whose specialist areas of interest are the finance and economics of the sport and leisure industries. On behalf of Sport England, Simon oversees the analysis and reporting of the National Benchmarking Service (NBS) for sports and leisure facilities. The NBS looks at performance from four perspectives: access, finance, utilisation and customer satisfaction. It provides managers with a wide range of indicators that they can use selectively to improve their own performance at facility level. Taken as a whole, the NBS dataset plays a role in driving up standards across the sport and leisure industry by showing what is possible by the better performers. Beyond the numbers, the NBS enables process benchmarking to enable managers to learn the techniques that give the better performers their competitive edge. Lisa Forsyth BA (Hon’s) Economics. Msc Recreation Management has been working in the local authority leisure industry for 20 years; working as a consultant for the previous 10 years. Lisa joined Max Associates in 2008, is now a Director and board member (Treasurer) of the Chartered Institute for the Management of Sport & Physical Activity (CIMSPA). Lisa has significant experience in leisure procurement, leisure centre new build and redevelopment feasibilities, service reviews and options appraisals. Out of work, Lisa plays league hockey, enjoys skiing, cycling and bounce fitness. Mike Hill has more than 30 years senior management experience in the active leisure industry. He worked in both the private and public sector, before setting up Leisure-net in 1999, having recognised the sector’s need to improve both its knowledge base and its understanding of its customers. Leisure-net is now the leading provider of Customer Insight, Business Intelligence and Consultation services to the active leisure, fitness and cultural services industries, helping organisations to understand their customers’ and clients’ needs and aspirations, and to deliver innovative customer experience improvement initiatives. Andy will discuss the current issues our industry faces, looking at it from a different perspective If our aim is to get the Nation Physically Active we are Failing. Like most sectors we are afraid to admit and report failure - Why? Exploring how we can learn through failure and by sharing results to create best practice, what tools do we need in place to do this and be successful? Formerly the MP for Loughborough, Andy has a strong association with Sport Policy having served as the Parliamentary Private Secretary to Sports Ministers and adviser to various Ministers and Sports bodies during his time in Westminster. He Chaired the Parliamentary Sports Caucus and was secretary of various All-Party Sports Groups. Andy has also worked as Chair of the Sport and Recreation Alliance from 2010 to 2016, in 2011 he established with other colleagues, the independent Sports Think Tank and was interim Chair of the Board of CIMSPA for 18 months until 2018. In 2012 Andy was awarded the OBE for services to Sport and the Community in Leicestershire, after Chairing the 2012 Olympic Leicestershire Legacy Group and chairing Leicestershire and Rutland Sport. He also sits on the Boards of Special Olympics GB, British Basketball League Foundation and was with Sports Chaplaincy UK until 2019. How do we change the system? Looking at the difference within our society. What the shared ambition across the sector in getting more people active through addressing stubborn inequalities and the key challenges and opportunities locally around this ambition. Chris trained as a Physical Education Teacher before studying for a Master’s Degree in Sports Science at Loughborough. Chris’ teaching career began at Roade Secondary School in Northamptonshire. Alongside teaching he led a project to develop school based sports development initiatives and the full community access to the facilities. Since joining Sport England, Chris has led work around improving sporting opportunities for young people and the use of sport in achieving social outcomes. For four years Chris was the Strategic Lead for all of Sport England’s work in the East region. Recently Chris became the Executive Director for Local Delivery at Sport England leading the work of all the local outreach teams. Chris continues to be actively involved in a variety of sports as a volunteer and participant. Building on the Quest Insight data, Caroline with the support of several key assessors will look at the core values of Quest. How we can further improve on performance, not just for the Quest badge but more importantly to increase service offering, efficiency and customer satisfaction. An interactive session drawing on practical experience with real life examples to provide tangible take-home ideas and thoughts which can be put into practice. In 2004 Caroline, along with a colleague set up Right Directions and left the security of a full-time job. This was a stressful but exciting time for Caroline, as she was juggling setting up a new company whilst being a Mum to a 3 and 6 year old. Now Caroline is loving managing Right Directions, building a fantastic team and supporting a great bunch of clients. The focus going forward is increasingly about reaching those target groups that are still under-represented in our centres. How can we finally crack this nut? Looking at the NBS insight data Mike and Simon will explore the statistics behind getting those target groups through our doors – what works and more importantly what doesn’t. There have been significant policy changes in the sectors priorities for workforce with the introduction of Towards an Active Nation and the Coaching Plan for England and an increasing focus on the importance of developing the right behaviours, skills and competencies and utilising a 'people like me' approach. Lee has worked in the sports development industry for over 20 years in a number of local authority, school sport partnership and county sport partnership roles, developing a specialism in workforce over this time. Lee is currently the Workforce Manager for the County Sport Partnership for Staffordshire and Stoke-On-Trent and also is a tutor for UK Coaching and the FA. Kathryn and Safiya will share they work they have undertaken at Yorkshire Sport Foundation on engaging with communities from the grassroots, understanding a place and the people who live there. The session will look at how to enhance understanding of the key principles of an ABCD approach, enhancing the understanding of the role and added value of a Community Development Worker in building understanding of community needs. How we can enhance understanding, through practical examples, of how to gain social trust within a community to improve engagement in sport and physical activity and raising awareness of the lessons learned from adopting an ABCD approach. Kathryn joined Yorkshire Sport Foundation in March 2013 having worked within Sport and Community Development for 6 years in a range of different roles. Most recently Kathryn spent 4 years working for Zest, a voluntary organisation working to improve life chances for deprived communities in Sheffield. During this period Kathryn developed a passion for community development, using sport as a tool to overcome social issues. Kathryn is the Communities Lead within the Yorkshire Sport Foundation team, providing support to community development projects across South and West Yorkshire. Safiya joined the Yorkshire Sport Foundation team in June 2016 as a Community Development Worker for the Active Burngreave Project. Before joining YSF, Safiya was a 'Community Activist' and volunteered her time to run youth projects and support her local community. Safiya is a mother of 5 and a Parent Governor at a Primary School, Secondary School and local College. Safiya was also crowned Ultimate Woman's Woman by Cosmopolitan magazine in 2007 and Won Business Women of the Year Award for opening a social enterprise Saf Saf Hair and Health, which provided a safe place for women of her community to access beauty and health services. How are we currently performing, and how can we use the Quest NBS Insight Data to make a difference in customer experience – this workshop will consider how we can use the tools already at our disposal to deliver a great experience. Gill joined the Leisure Industry in 1985, starting her career as a part-time Lifeguard. She has held a diverse range of roles, with the majority working in local government. Gill was Group Health and Fitness Manager for a local authority leisure contract for five years before accepting a senior management position as Area Leisure Manager. She now works full time for Right Directions and heads up the Development arm of the business for both Right Directions and Quest, including the strategic development and implementation of Right Directions and the Quest scheme business plans. Gill also manages the product development, business generation, training and sustainably improving delivery and operational standards across both arms of the business. Has worked in the industry since 1985 in many roles such as lifeguard, head pool attendant, duty manager, assistant manager, manager and group manager for the private sector, Local Authorities and leisure management contractors. His last employed role was with a leisure contractor, taking responsibility for quality, health and safety, human resources and training and development for 60 centres and 3000 employees. He merged his consulting business of 6 years with Leisure-net Solutions in April 2014. Leisure-net now works with SkillsActive, Sport England, County Sports, ukactive, Quest, Loughborough and Warwick Universities, leisure contractors, Trusts and Local Authorities. Leisure-net delivers customer insight, research, change management, training and development. David specialises in assisting organisations how through an excellent customer experience an organisation can generate referrals, retain customers for longer and enhance the team experience. David’s qualifications include an MBA in International Sports Management from Loughborough University, a national Examination Board Occupational Safety and Health Certificate and a Preparing To Teach in the Lifelong Learning Sector qualification. Positive messaging and inclusive engagement. How to engage with disabled people and people with long-term health conditions to promote effective inclusive delivery, leadership and good practice for disabled people and individuals with health conditions by promoting positive messaging around inclusivity. Jess will lead this workshop which focuses on the work Activity Alliance are currently undertaking and links directly to the GPlus37 Quest Module with practical examples of what can be done to better promote inclusivity through our messaging and customer facing roles. Tom joined Activity Alliance (previously the English Federation of Disability Sport) in early 2013 as an Engagement Advisor. In this role he works with activity sector and disability sector providers from across the North to support the, to get more disabled people active and improve the offer for disabled people. Prior to this, Tom was Badminton England’s National Disability Manager for two years, compiling the governing body’s first disability strategy and putting together the Team England Para-badminton structure which has evolved to become the basis of the Paralympic programme for Tokyo 2020. He has a Masters degree in Sport 7 Exercise Psychology from the University of Central Lancashire, and still try to play in goal every Saturday afternoon, despite spending every Saturday evening moaning about how much everything hurts. Suffolk Public health have worked in collaboration with Quest and other key stakeholders to develop a bespoke Quest assessment module aimed at driving improvements in the delivery of exercise referral in Suffolk. Reflecting on the need for a tailored local approach to increasing physical activity among groups at risk of long-term health conditions, the presentation will highlight the approach taken, elements of the standard and will draw out key progress and impact of the work. Working in partnership with Abbeycroft Leisureto create Suffolk Quality Standard for exercise referral, the Exercise Referral scheme at Abbeycrofts Bury St Edmunds facility became the first centre in Suffolk to be awarded the quality standard by Quest in November 2018. Sharna currently works as a health improvement commissioner in Public Health, leading on the delivery of key initiatives and services to improve the health of the population of Suffolk. Having completed a Masters degree in international development, Sharna went on to specialise in the improvement of health, focussing on understanding population epidemiology and developing health improvement interventions across a range of public health priorities. Leading on key initiatives in the field of health inequalities, Sharna has worked in collaboration with key stakeholders across Suffolk to develop the Suffolk Exercise Referral Quality Standard. In addition to this, Sharna has been a key author to the Suffolk Physical Activity Needs Assessment, and was instrumental in developing a local pilot aimed at improving physical activity among those who experience poor mental health. Outside of her work in Public Health, Sharna has worked on a number of initiatives in the voluntary and community sector, including overseas in Central America, so has a good working understanding of how to bring communities together to drive change and promote improvements in health and wellbeing. Phil has worked in the leisure industry for over 25 years. Working in a variety of roles within the sector encompassing a broad range of areas such as facility management/operation, strategic development, business development and roles within a National Governing Body. His current role sees him working within SCC Public Health finding ways to help deliver Suffolk’s ambition to become the most active county in England; working with a range of partners from both the public and private sector to achieve better health and physical activity outcomes for the residents of Suffolk via programmes such the Suffolk Exercise Referral Quality Standard. Warren is the CEO of Abbeycroft Leisure, a leisure trust operating in Suffolk. Abbeycroft has seen significant growth and now includes a very diverse portfolio of facilities that includes large multifunctional leisure centers, a low-cost health club, a corporate fitness club as well as health and wellbeing facility, The Self Centre. In addition to this, the organisation continues to develop a broad range of physical activity initiatives and events that has included working closely with the Public Health Team at Suffolk County Council on various projects including the development of the Suffolk Exercise Referral Quality Standard. The Exercise Referral scheme at Abbeycrofts Bury St Edmunds facility became the first centre in Suffolk to be awarded the quality standard by Quest in November 2018. The annual Quest & NBS update will be delivered by Caroline Constantine, Quest Director and Mike Hill, NBS. Looking at the overview of Quest in 2018, the changes and what is to come in 2019. The Update will also provide first look statistics taken from the online RD-Dash benchmarking platform with a new set of insight data for 2019 to help educate and influence. Caroline started working in the school holidays and weekends being a windsurfing instructor and working in bars, restaurants and shops. Once in the industry, Caroline was hooked and loved the working environment, she then moved to Relaxion in 1992 & spent 12 years learning so much about the industry, including how to (and how not to) manage buildings and importantly people! Whilst working for Relaxion (then Leisure Connection, then 1life), she moved around the country working up the ‘Leisure Ladder’. She managed numerous contracts across the country from Kent to Northumberland. Whilst working for Relaxion, Caroline became a Quest Assessor and was a member of the Quest Board representing the LMCA. Leisure-net is now the leading provider of Customer Insight, Business Intelligence and Consultation services to the active leisure, fitness and cultural services industries, helping organisations to understand their customers’ and clients’ needs and aspirations, and to deliver innovative customer experience improvement initiatives. Leisure-net also deliver active-net, a highly-successful, two-day business networking event for operators and suppliers, and run the National Benchmarking Service on behalf of Sport England, in conjunction with the Sports Industry Research Centre at Sheffield Hallam, Max Associates and 4Global. At the Rio Olympic Games Mark steered Team GB to their most successful performance for over a century when Team GB became the first nation to win more medals after hosting a home Olympic Games. Looking at what it takes, how Olympic Sport can help to engage a nation and the road to Tokyo including the key lessons learnt and the success factors. Mark will provide invaluable insight in to the role Team GB plays both on and off stage. Mark England has extensive Olympic experience having been at the British Olympic Association since 2011 in his role of Director of Sport Services. In April 2014, Mark was appointed Team GB’s Chef de Mission for both the Rio 2016 Olympic Games and the inaugural 2015 European Games, having amassed a wealth of experience as Deputy Chef de Mission for Team GB at six Olympic Games, including London 2012. At the Rio Games Mark steered Team GB to their most successful performance for over a century, where they became the first nation to win more medals after hosting a home Olympic Games. A qualified engineer who also has a Master’s in Business Administration, Charles started at Sport England in 2008 as Property Director where he is responsible for the Capital Investment Programme for public sports facilities, a multi-disciplinary practice. Charles came to Sport England from MDA Consulting where he was Chairman and CEO. He began his career at Jaguar before joining Sainsbury’s where he spent 25 years progressing to become Director of Construction and Facilities, managing an annual budget of over £500 million. Charles is a trustee on the London Marathon Trust, Royal Albert Docks Trust, Foal Farm and the Manchester Velodrome Trust.